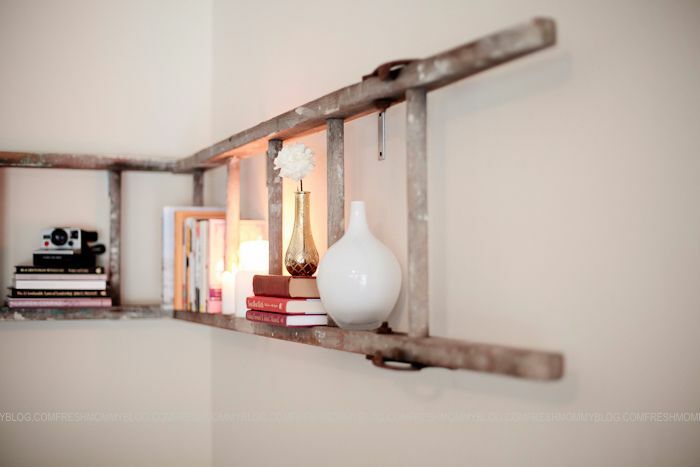 Have you ever noticed an old ladder kicking around and wondered what you could do with it? 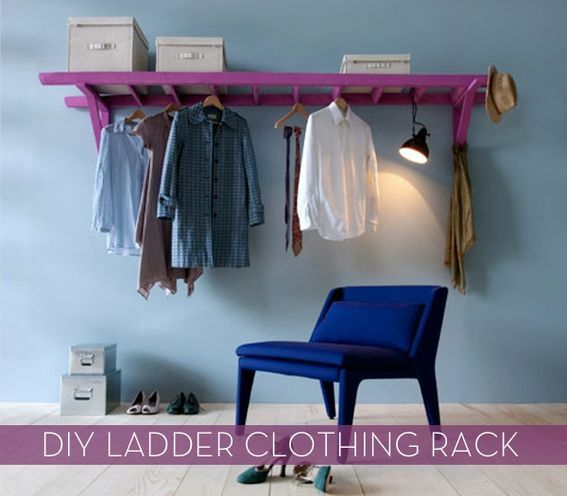 As it turns out, there are a lot of cool ways to turn ladders into hard-working, attractive pieces of space saving furniture! Let's face it, we don't often need ladders in our everyday lives anymore. As a result, they can often be found cheaply at thrift stores and garage sales! Get your hands on one as soon as you can, and try one of these clever ideas. 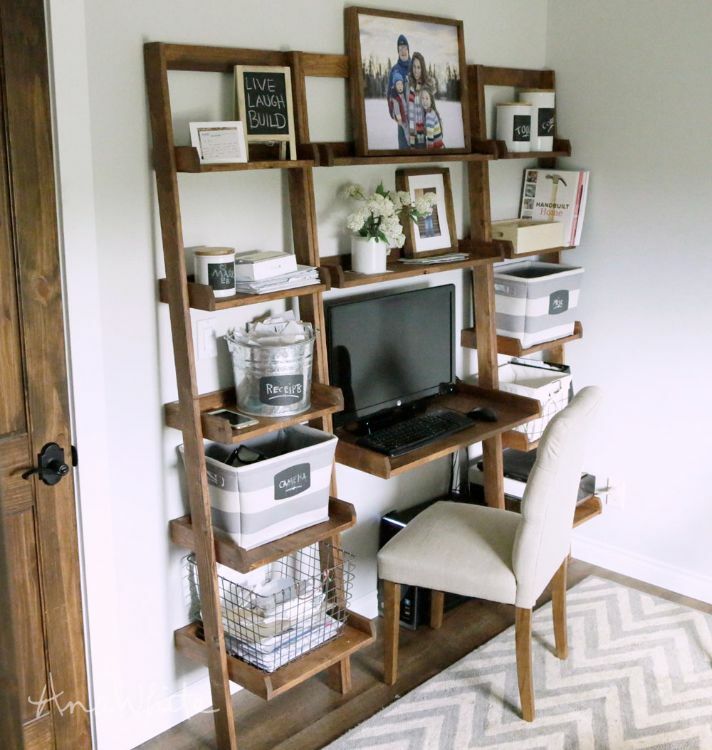 Make good use of your corner space with this awesome ladder shelf from the Fresh Mommy Blog. It's an easy way to turn a bare space into a cozy, inviting one, and it gives you a ton of room to store books, flowers, and other decorations. 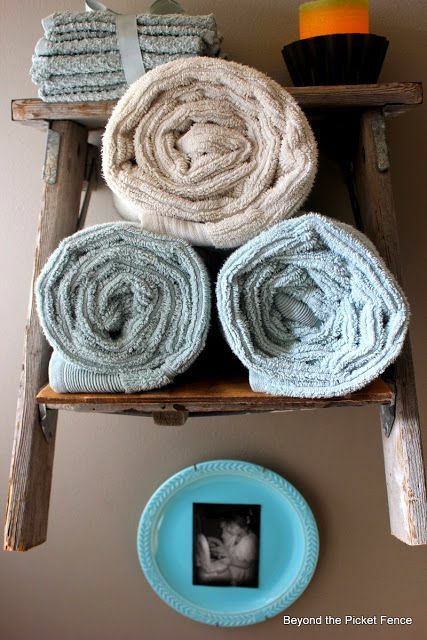 It can be hard to find space to store extra towels, but this lovely little shelf makes it easy. Even better, the clever shelf only uses the top couple rungs of your ladder, leaving the bottom portion available for something else! Learn how to make it from Beyond The Picket Fence. If you're one of those people who can never have enough closet space, this project is for you. All you need is a can of paint, an old ladder, and some brackets! The tutorial can be found on Italian newspaper Corriere della Sera; the instructions aren't in English, but you can run the site through a translator. Blankets are essential to a cozy home, but they take up a lot of space when folded up and not in use. 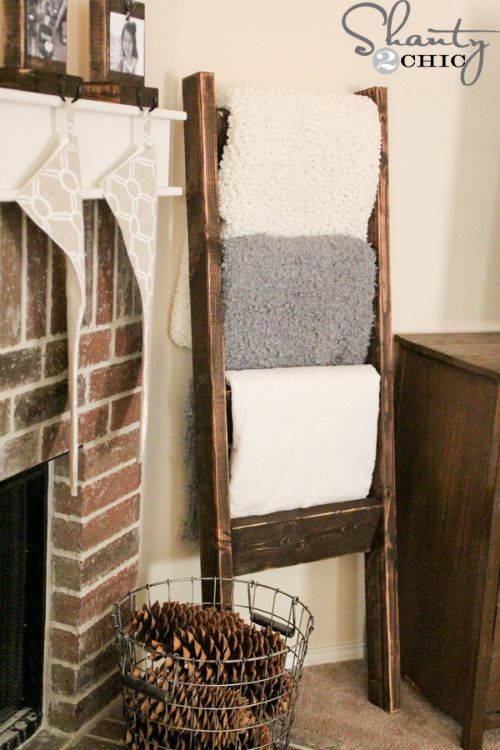 Keep them from filling up your cupboards or cluttering up your couch with this handy blanket ladder from Shanty 2 Chic! 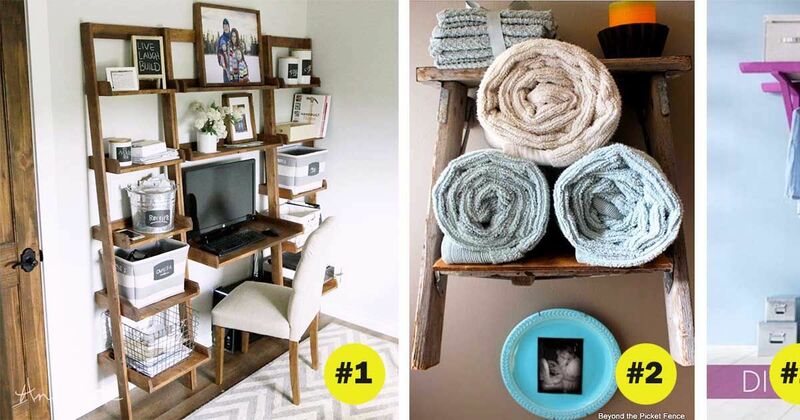 This ladder desk from Ana White is a must-have for anyone who works from home! In addition to having space for a computer, it has shelves to fit a recycling basket and a printer as well as a ton of extra space for books and decorations. 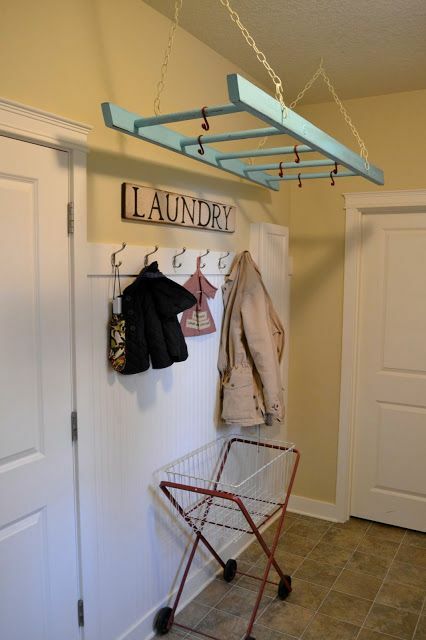 If you have clothes that can't go in the dryer but nowhere to hang them up, try installing this awesome laundry rack in your home. It's easy to DIY, and its inconspicuous location on the ceiling means it won't get in the way when you're not using it! You can learn how to make it from Little Lucy Lu. 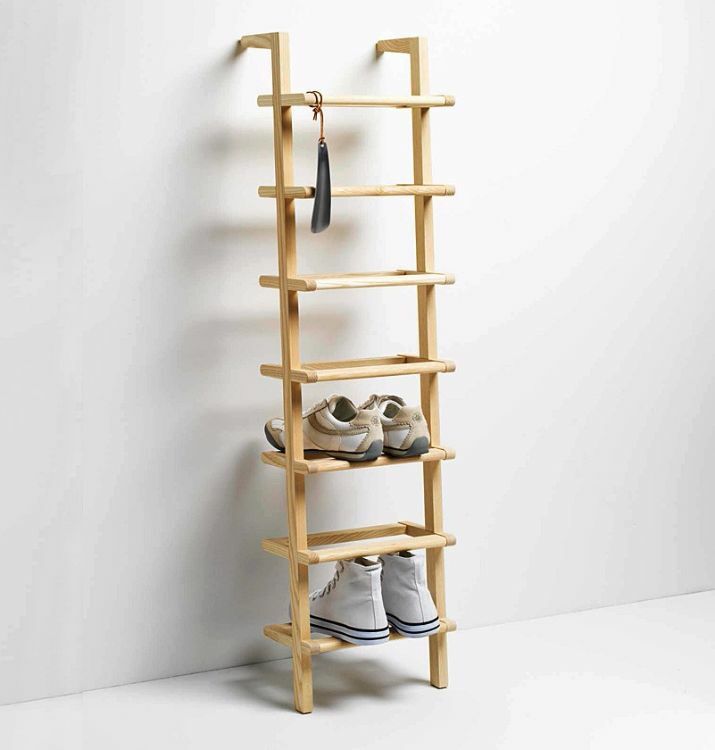 Nothing is capable of cluttering up your entryway the same way that shoes are, but this handy ladder shelf makes sure they're kept out of the way. It's small enough to fit in even the tiniest hallway, and it can hold up to seven pairs of shoes! You can purchase it from Einrichten Design. 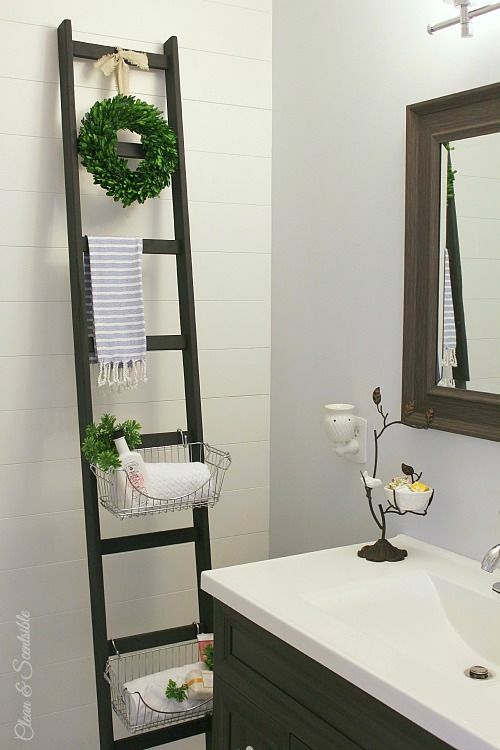 This nifty storage ladder from Clean and Scentsible would be a great addition to any bathroom; it gives you as much storage space as you need as well as a place to hang a hand towel! Blog writer Jenn chose to hang only two baskets from her ladder, but you could just as easily put one on each rung to maximize storage space.